When we signed the closing documents in the middle of April, we were told by our agent, not directly to us, but during a casual conversation, that our mortgage could be sold to somebody else later, but the terms of our mortgage, such as rate and length, etc., should remain the same if the transaction indeed occurs in the future. Though I know such transactions happen quite often in the mortgage industry (for example, small lenders package the loans their originated and sold them to large mortgage companies), I did really expect our loan to be sold when we signed the mortgage paper, at least not this fast. After making our first mortgage payment in early June, we receive a letter from our lender, Provident Funding Group in California, which I have never heard before (well, I am aware of only a few big names among maybe hundreds of mortgage lenders in the country), informing us that our mortgage has been sold to Wells Fargo Home Mortgage, effective July 1, 2010. Also in the letter is the assurance that, though home loans are transferred frequently in the mortgage industry, the transaction will not affect any term or conditions of the loan and that the only change is the address to which my mortgage payments are made. While it’s good to know nothing will change as I expected, somehow I still don’t like the change, the change of ownership of the loan that is. I had some experience in the past when ownership changed hands and it wasn’t always very pleasant. So I’d prefer things as they are in general. However, for the transfer of my mortgage from Provident to Wells Fargo, it actually comes with a benefit before I even see anything negative, which is a surprise. Shortly after I received the notice, I went to Wells Fargo’s website to set up an account so I can make further mortgage payments online and after the account was created, I noticed an option to make bi-weekly payments in addition to the more standard monthly payment. This is something I have been looking for years. When we bought our first house in 2004, I specifically asked our lender, Countrywide, whether we could make bi-weekly payments and was told no because we had a 5-year ARM and we had to wait after the first 5 years to have such an option. For this house, Provident said very clearly that the bi-weekly option is not available at this moment without giving any specific reason. So when I saw the bi-weekly payment option, I was pretty excited because with 52 weeks in a year, the bi-weekly option will make a total of 26 withdrawals, equivalent to 13 monthly payment (I set up the payment schedule such that half of the monthly mortgage payment will be withdrawn each time), one more than monthly payment plan and the extra payment will be directly applied to the principal balance. This means that we are building up our equity faster and our mortgage could be paid off earlier than scheduled (we have a 15-year fixed loan). If you always have such an option, it probably isn’t a big deal, but for us, it is because we wanted it for a long time and it is finally available to us in a way that we didn’t expect. Use ChargeSmart to Pay Mortgage? Sun, please share with us what rate and duration you got! Most mortgages get sold after a month. The loan is a fixed 15-year loan at 4.25% APR. The rate is probably better these days. 15 yr at 4.25% ain’t bad at all. I’d just keep that for sure. I did just refi into a 5/1 arm at 3.75% as my ARM was expiring soon. It’s like the refi booming is starting! The same thing happened to us when we purchased our new home back in February. In fact, I never actually received a billing statement from the “original” lender. It was odd at first, but then a little research revealed that this is common-place. Awesome to hear about the pay-off plan you guys have in place. Some people don’t like the idea of paying the mortgage off early. I do. Can’t wait to get out from under mine! Only 9 years to go. Well done! I don’t see what the big deal out of making biweekly payments is. If you want to pay a little extra per year…do it anyway. The only people that really benefit from it are the type that are disorganized or too impulsive that they wouldn’t pay the extra money toward their mortage unless they were forced. I doubt that you are that type of person. Paying off your mortgage early makes sense if you don’t think you can do anything better with your money…it’s just a calculation. That’s what the original lender, Provident, said in the letter explaining the payment option: While the bi-weekly option is not available, you can always pay a little extra if you want to pay off the loan faster. I agree that it doesn’t really mean too much for one who determines to pay off the mortgage earlier by paying extra money toward the principal. That’s said, I still want this bi-weekly option to be available. biweekly option isn’t all that it is cracked up to be. read the fine print to determine if they hold the extra payment in reserve and make a final payment at the end of the year or not. the better option is to give yourself the flexibility of just paying an extra 1/12 each month towards principle, which is an option with Wells Fargo Mortgage. Long time no see, Tim. In our case, yes, Wells Fargo does that the extra payment will be applied to the principal balance once the account becomes prepaid by one month. Since we are also making additional payment in each withdrawal, the extra money should be applied earlier than the end of the year. I would still change from biweekly to monthly and adding 1/12 extra payment towards principle, which wells allows you to do without holding extra payment until the end of the month or year. the 1/12 amts to an extra payment per year, but you are subjecting yourself to it being held in reserve by wells. every calculator will show you this yields better results than biweekly option. You should count yourself lucky. Wells Fargo has been great in my experience. About 10 years ago, they bought Norwest Mortgage based in Minneapolis. 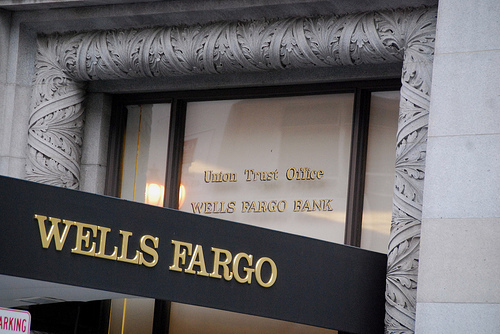 This became the home of Wells Fargo Home Mortgage. The note for our primary home was initiated with Norwest about a year before Wells bought them. Several years later, we initiated a second home and a refi mortgage with a local mortgage broker. These also ended up at Wells. Their payment options and servicing are very flexible. A couple of examples: One, I have called to setup an extra monthly principal payment amount and then due to changing circumstances canceled it the next month. There was no delay or waiting period for either transaction. Two, we were also able to set the day of the month for the autopay as long as it is within the grace period which I think is 14 days. We set ours up with our second home on the 1st and primary on the 15th. This allowed us to spread the payments over two pay periods.